If you serve people or companies with dominator hierarchies, people who use force and ranking to impose their will, you will be negatively affected by that decision over time. It might be that you are the one they dominate, or it might be the stress of dealing with people who treat others as a means to an end, but sooner or later, you will feel it. It will change you, and not for the better. Serving people who don’t value you, what you do, or how you do it also creates problems. When you deal with people or companies who don’t value you, it isn’t easy to capture some of the value that you create. That can make it difficult for you to deliver the real value you are capable of, and it will make it difficult for you to be profitable. Long term, this will change who you are. There are people—and companies—who aren’t mature when it comes to relationships, including business relationships. Some people are mean and angry. Some aren’t willing or capable of working within the cultural and social norms of polite society. Much of the time, what makes these people so difficult has nothing to do with you. The meanness just pours out of them. Dealing with these people takes more time and psychic energy, mostly with very little benefit. These immature people will make you something you’re not. You want to work with good people. You want to spend your time with people who are partner-oriented and who value who you are, what you do, and how you do it. Your limited time is best spent with people who respect you, and people whom you respect. I often write about what I call “relationships of value” because it is no longer enough only to be “friends” when it comes to client acquisition and business relationships. There is an important economic component to our business relationships too. But there is more than just the economic value of the relationship. You are who you choose to serve. You want to grow in positive ways. Are your spending your time with the right clients? 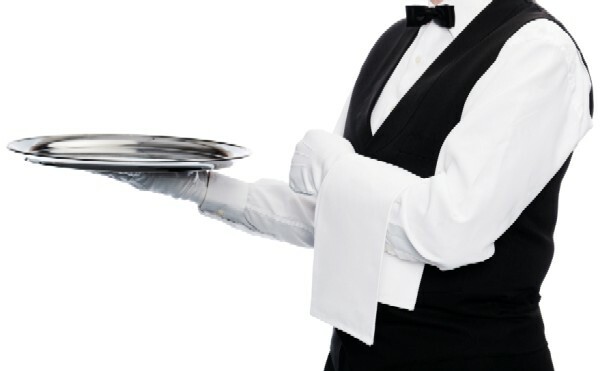 Are you serving the right people now? Or are you transacting with people who don’t really value you or what you do? Reply below in the comments to send me your thoughts, ideas, and stories. Also, if I could make one ask of you, please visit iTunes and subscribe to my In The Arena podcast. So many people have emailed me to ask me to bring it back, that we restarted it. I just interviewed Brian Tracy about his new book, Find Your Balance Point, and his responses are well worth your 30 minutes. If you like it, take two minutes and review the podcast on iTunes. Do good work for and with good people this week. I’ll see you back here next week.